Please help the victims of massive flooding in the Philippines by making a donation to BALSA today: http://tinyurl.com/BALSAbayanihanrelief and by taking a minute to help forward this email to your friends and family. 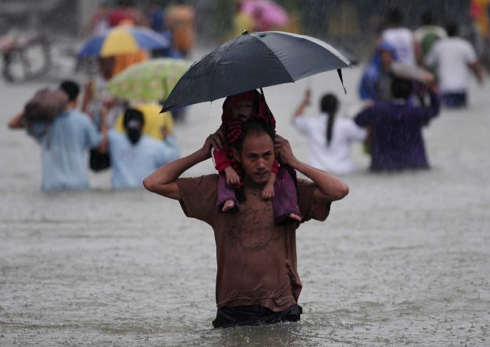 Your bayanihan and giving spirit is needed as the Philippines has been hit once again with the worst flooding since 2009. 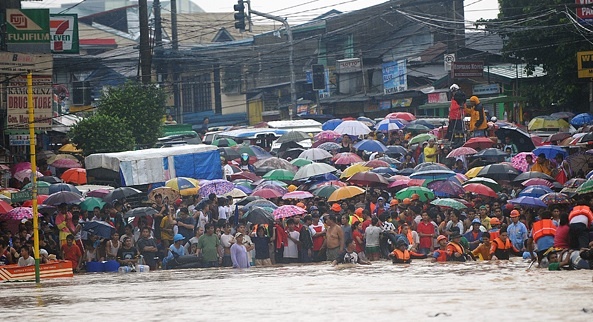 For the past week, rains due to the southwest monsoon (Habagat) after typhoon Gener (international name, Saola) left the country have caused massive flooding in different parts of Luzon, especially in Metro Manila where half of the city is submerged. We in BAYAN USA appeal to all concerned citizens to donate $5, $10 or any other amount within your capacity to help with relief efforts. Your donation is urgently needed and appreciated. Your donation will reach those areas not normally covered by media & reach the far barrios to provide food (more than one kilo of rice, dried fish, mongo, cooking oil, and more) and other basic needs. The grassroots organizing efforts of BAYAN and BALSA with the communities in the Philippines will ensure that all donations given are directly contributed to the areas that need immediate assistance. Next Post THIS Th, 8/30: International Day of the Disappeared @UNION SQUARE NYC!